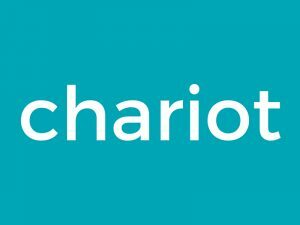 Chariot is a tech-mobility company owned by Ford since 2016 with a mission is to build the world’s first sustainable transit solution that is reliable, accessible and easy with 3 solutions: – Chariot for Business: a mobility solution for companies to help their employees with their commute offering first/last mile transport with an on-demand shuttle (bookings via an app). Amongst our clients in the UK: Stockley Park and GSK.– Chariot for Commuters: a mobility solution for commuters. we offer 4 commuter routes in London in 4 areas under-served by public transport: Battersea Park, Wandsworth Riverside, Shooters Hill and Belvedere Village. We enable residents of these areas to book a seat on demand via our our app in a 14 seat minibus to transport them from where they live to the nearest major train/tube station, Monday to Friday, 6am to 10am and 4pm to 8pm.- Private Chariot: Decide where you want to go, whether it’s a festival, a day-trip by the sea or a corporate retreat, we take care of the rest. Flexible: Decide when and where, your private Chariot will come pick you up, stop as many times as you’d like and drop you back off. Convenient: Got a few heavy suitcases? Your destination requires taking a taxi, a train, then a bus? Or several cars? We take care of your stuff and get you where you need to be in one go. The more the merrier: Ride in style in our spacious and comfy 14 seat Chariot with overhead space and A/C. Bring along friends, family or colleagues.